Many of the Kurds affected by these ruling powers did not want to separate, but simply to be able to live a peaceful and stable life; the push for a state was the creation of the states themselves, through their oppression of the Kurds. Kurdistan offers an opportunity for all its citizens to look towards an inclusive, pluralistic society where religious freedom is not only tolerated, but encouraged. Kurds respect both the Sunnis and the Shiites within their territories and have strong ties with the only Jewish state in the Middle East. A Kurdish state has the potential to bring amity to an otherwise unstable region. Many international bodies including the United Nations, the European Union, and the Arab League continue to push for a Palestinian state, while ignoring calls for a Kurdish one. For far too long, the Arab, Turkish and Iranian peoples and leaderships have used the Israeli-Palestinian issue as justification for their own problems. Without acknowledging the "Kurdish question," which spans four major states -- Iraq, Iran, Syria, and Turkey -- the Middle East will have trouble achieving stability. The goal of solving the Israeli-Palestinian conflict has long been used by Arabs, Turks and Iranians in the Middle East as a cover to deflect criticism away from their own indifferent leadership. The 22 existing Arab States, along with Turkey and Iran, can easily establish a homeland for the Palestinians, but they are not interested in doing so. The goal of these states is not to create another Arab state, but to eradicate an only Jewish state. Giving the Palestinians a state will not solve the Syrian civil war, the Sunni-Shiite divisions in Iraq will remain, the destructive Islamist path of Turkey's President Erdogan will continue, the world will see continued Iranian aggression against Israel, Sunnis, and Kurds, and the hold hat both Iran and Saudi Arabia have on Islam will only strengthen. The Kurds are large in number (an estimated 40-50 million) and have a unique language, culture, and identity that differs markedly from their neighbors. The main problems in the region center around Islam versus Islam (Arab-Arab, Arab-Iran, Arab-Turk, Iran-Turk) or Islam versus minorities, including Christians, Yezidis, Chaldeans, Alevis, Jews, etc. 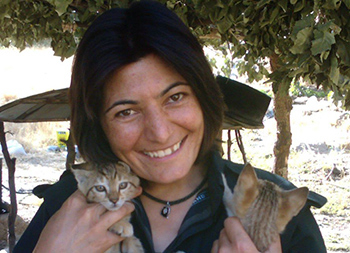 Kurds embrace Western values such as gender equality, religious freedom and human rights. The Kurdish people have continually suffered in the Middle East. The Turks, under the Ottomans killed tens of thousands of Kurds in massacres in Dersim and Zilan. By the 1990s, more than 3,000 Kurdish villages were destroyed. According to Human Rights Watch, 378,335 Kurdish villagers had been displaced in Turkey. The Kurds have a distinct language and, although Sunni Muslim, they are relatively secular. Within areas with majority Kurdish populations live Kurdish Jews, Shiites, Christians, and Yezidis. This diversity has shaped a tolerant nature within their society. The Kurds push for the separation of religion and state, and allow for churches, mosques, synagogues and temples to be built next to one another -- a respect for the "other" rarely seen in the Middle East. Under the dictatorships in Iraq, Syria, Turkey and Iran, the Kurds are still suffering from Arabization, Turkification, and the Iranian tactic of forcible land confiscation. The Kurds are no strangers to having their historical territories taken over by such regimes; they therefore understand and respect minority rights. The Kurdistan Regional Government (KRG) has embraced its Jewish community, and rescued over 3,000 Kurdish Yezedis from ISIS when they were trapped on Mount Shingal in Mosul. Many Christians and minority communities have even requested they be part of the Kurdistan region after the state of Iraq failed them. Kurds have also taken in 300,000 Syrian refugees and 2.3 million internally displaced peoples (IDP) from Iraq. The KRG does not distinguish between them as Sunni-Shiite or Muslim-Christian, but recognizes them as humans suffering from war. This is far different from what we see in Arab nations. Many Gulf states to date have not taken in any refugees, despite sharing a common religion. Saudi Arabia, home of holy cities of Mecca and Medina, has quietly squelched the thought of allowing refugees to seek protection there, even as the Saudi kingdom has hundreds of thousands of empty air-conditioned tents available while their own Arab brothers are suffering in neighboring states. A similar situation is seen in Qatar, UAE, and Kuwait. Iran, according to Human Rights Watch, has sent Afghan refugees to fight in Syria by force, under the Islamic Revolutionary Guards Corps (IRGC), which already has violated countless human rights agreements. Peter Bouckaert, Emergencies Director at HRW states that, "Iran has not just offered Afghan refugees and migrants incentives to fight in Syria, but several said they were threatened with deportation back to Afghanistan unless they did." Iran imprisons and publicly executes Kurds to this day. States such as Jordan and Lebanon are forced to take in refugees largely because they share a border with Iraq and Syria; would they if they were not forced? Turkey has used the refugee crisis from the Syrian civil war as political leverage against the European Union to gain accession into the 28-nation bloc, to receive financial aid ($3 billion a year) and to change the demographics of the Kurdish regions in the southeast. There are even reports of Erdogan's regime forcing male refugees in Turkey to go back into Syria to fight with the Turkish military in exchange for aid to their families. Women in Kurdish society were not always free. Kurds are predominantly tribal and many live in rural mountainous regions. Kurdish women were historically victims of honor killings and child marriages. The move away from these practices began when Kurdish resistance groups began to form in the wake of Turkey's crackdowns during the 1980's military coups. The founder of the Kurdistan Workers Party (PKK), Abdullah Ocalan, strongly believes in women's liberation and even wrote a book titled Liberating Life: Women's Revolution. Ocalan believed that, "A country cannot be free unless women are free." Kurdistan even recently hosted the International Conference on Women and Human Rights, where it pushed for greater support for women's leadership in the KRG. The emphasis on gender rights as well as ethnic and national rights is a form of democracy unseen in the Middle East. States such as the United Arab Emirates (UAE) appoint women to positions such as "Minister of Happiness," which not only belittles women but continues to suppress the potential they can provide to society as a whole. In Iraq, Saddam Hussein attacked the Kurds with chemical weapons in 1988. He murdered 5,000 civilians and destroyed 4,000 villages. Hussein aggressively went after minorities such as the Kurds, despite being Sunni Muslims. Between 1988-1991, his regime murdered thousands, effectively committing genocide. "Arab families were given financial incentives to move north, and the Iraqi government embarked on housing construction projects to bring more Arab families north in order to change the demographic make-up of the north." The Syrian and Turkish regimes have done the same. In Syria, Hafez Assad, Bashar Assad's father, cracked down on Sunni majority and denied Kurds their right to speak Kurdish or open Kurdish schools. Kurds were considered stateless peoples as they were denied Syrian citizenship. Ironically, Hafez Assad had ratified the International Covenant on Civil and Political Rights in 1969, the International Convention on the Elimination of All Forms of Racial Discrimination, the International Covenant on Economic, Social, and Cultural Rights. His son, Bashar, also agreed to the International Covenant on the Elimination of All Forms of Discrimination against Women in 2003. So much for that. Turkey is virtually at war with its Kurds and continues to deny rights to effectively all minorities. Greeks, Armenians and Alevis are oppressed and removed from their historical lands. From the Armenian Genocide to denying the peoplehood of the Kurds, Turkish nationalism has been the main cause of instability within the state. Founded upon the notion of western-secularism by Mustafa Kamal Ataturk, Turkey's President Recep Tayyip Erdogan, has been attempting to reestablish the primacy of Islam. Erdogan has labeled the Kurds as separatists and a threat. Turkey also apparently fears the success of the Kurds in Syria in their fight against ISIS, and their declaration of an autonomous region. Erdogan seems concerned that his Kurdish population will call for autonomy, as it has. The Kurds, in 1946, temporarily managed to establish their own independent state in northwestern Iran, with the help of the Soviet Union. The Kurdish struggle for freedom continues in Rojhalat (east) for the recognition of their identity and political rights. During the Iran-Iraq war, Kurds were used by both powers against one another as pawns, in order to irritate the other side. Saddam Hussein pushed the Kurds in Iran to rise up, and Iran gave arms to the Kurds in Iraq to fight against the Ba'athist regime, all while killing their own Kurdish populations. To date, Kurds striving to be recognized as a legitimate minority within Iran either disappear, are imprisoned, or are publicly executed. Any new state that is established must be willing to live with its neighbor in peace. Kurds will need to establish close relations with all the states from which they are separating, particularly as Kurdistan will be landlocked. The creation of a Kurdish state would above all acknowledge that the Kurds exist as a distinct entity, through their language, respect for equal rights, and their secular culture. With the little stability the Kurds have in northern Iraq since the downfall of Saddam Hussein, and the advancement of the Kurds in Rojava within two years after pushing back ISIS, they have proven capable of running a state and respecting all those within it. 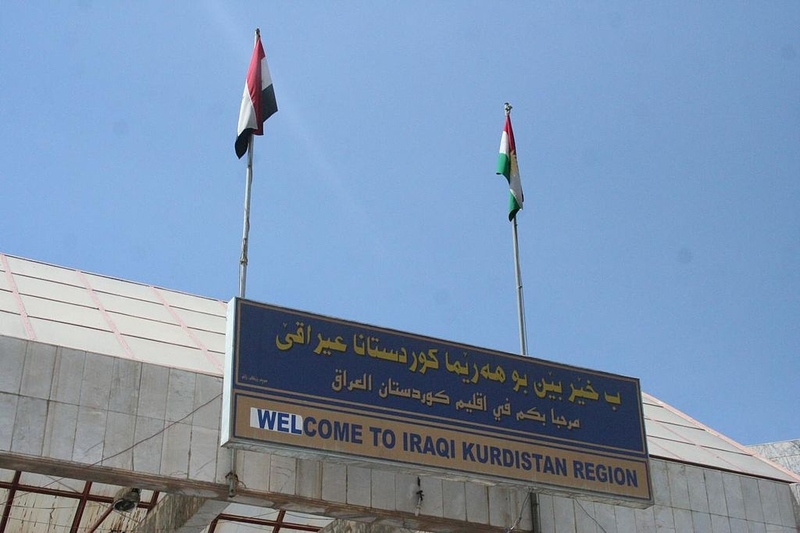 The Kurdistan Regional Government (KRG) and the recently-declared autonomous territory in Rojava (western Syrian-Kurdistan) have been a model for all states in the region to follow. As liberal as Kurdistan has become in respect to social freedoms, it continues to be surrounded by states that lack similar values. The states surrounding Kurdish territories, including Iran, Iraq, Syria and Turkey are currently either failed or under oppressive regimes. Because Kurds are religiously diverse moderates who prioritize their ethno-linguistic identity over religion, Kurdistan offers an opportunity for all its citizens to look towards an inclusive, pluralistic society where religious freedom is not only tolerated, but encouraged. Diliman Abdulkader is at the School of International Service, American University in Washington DC and a columnist for NRT English. Related Topics: Kurdistan receive the latest by email: subscribe to the free gatestone institute mailing list. A good article, but with one major flaw I would like to point out. You've lumped together the KRG and Rojava as "a model for all states in the region to follow". They are two totally different models, and diametrically opposite. Rojava is a libertarian people's democracy. It's organised from the ground up, with local councils, proportional representation, gender equality, minority rights. It's a STATELESS democracy, which exists within a federal model, inside Syria. It does not aspire to independence from Syria. Communities are polyethnic, and religion is removed from politics. Under age marriage, polygamy, fmg are banned. Their political representation, the PYD, administers Rojava (as opposed to governing it). Governance comes by consensus, from the people's councils. KRG is the opposite - an oldschool top down autocratic tribally led petrochem statelet, with a ruling family who lead the KDP party. It has no parliament, and its leader is unelected. It is nationalist, and represents Iraqi Kurds only. It makes its money trading oil with Turkey, for whom it acts as a proxy. The KDP blockades the border with Rojava to prevent building supplies, medicine and baby food from crossing, and has trained 10,000 "Rojava peshmerga" troops as an occupation force. KDP is opposed to the democratic political structure of Rojava, and uses the same rhetoric against it as the Turkish state. In the KRG, KDP's opposition is PUK, which supports Rojava's autonomy, as do Turkey's and Iran's Kurds. For a unified Kurdistan, the KDP are the fly in the ointment, and by population represent only 10-20% of Kurds in the middle east. "The Kurdistan Regional Government ... rescued over 3,000 Kurdish Yezedis' - no it didn't. The KRG troops pulled out and left the Yezidis for ISIS. They were rescued by the PKK from Bakur (Turkish Kurdistan), and the KRG troops returned later. recognise the State of Kurdistan. The Kurds have been attacked from all sides. They deserve to have their own state where they can follow their own acts of inclusivity and be allowed to live in peace. Unfortunately the same radical elements who think the Palestinians should be allowed to take over all Israel, use women as chattels, and are so intolerant of any proponents of peace are the stumbling block to any peaceful resolution in the middle east. It is time to stand up to the radical Arab states that can't stand the thought that women are equal human beings and deserve to be treated as such. Mr. Abdulkader is absolutly right. Kudistan now! The Kurdish nation exists since the dawn of history. They have their own language and their land was divided by the colonial powers after WW 1 like thieves dividing the loot between them. It is past time to correct the artificial creation of states by the thieving colonial powers and give back to the Kurds their ancestral land. Then divide the rest of the artificial state of Iraq and Syria into ethnic/ religious small states whereby each can defend itself from it's neighbors to fix the Middle East perenial sickness. Notice that democracy, equal rights exist in only two places Kurdistan and Israel.